Danny has over 20 years’ experience in the hair industry. This includes photographic work, being published in national and worldwide publications, touring around the country performing hair shows, the Clothes Show, London Fashion Week and most recently part of the educational team for a leading brand within the industry. Rachel also has over 20 years’ experience including photographic and stage work. Rachel has extra qualifications within the teaching and customer care side of hairdressing. Recently having had a baby Rachel now only works part time and so appointments get snapped up extremely quickly! Katie is the salon manager and has worked with Danny and Rachel for many years now. She has worked closely with all our suppliers making her our head creative colourist. Rhiannon started working at Murray and Murray over 6 years ago. She is one of our senior stylists. 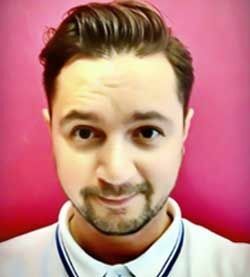 Niall is a young stylist who is full of passion for the job which is why he has recently been promoted to senior stylist level. He's a great asset to the team and brings a great atmosphere to the salon. He's great at all aspects of hairdressing but has a passion for colouring and hair up. 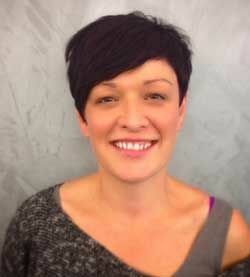 Anita is one of our senior stylists. She first worked with Rachel and Danny over 20 years ago and has a wealth of experience. After working on her own for the last few years she felt it was time to return to working with a team to share her experience with others. Milly is our colour technician, specialising in all aspects of colour. Milly has a passion for hairdressing and is great at looking after clients throughout their salon visits especially with her head massaging techniques. For all your hair cutting and colouring services, call Murray and Murray Hair today to book your appointment.